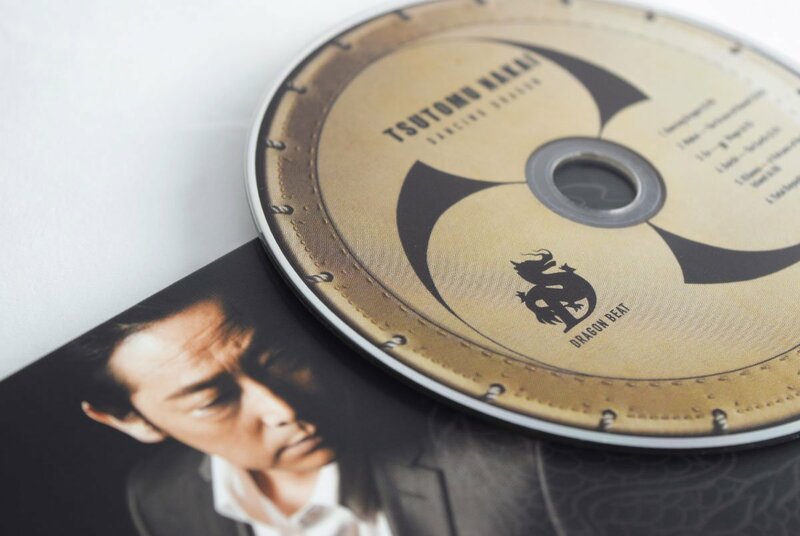 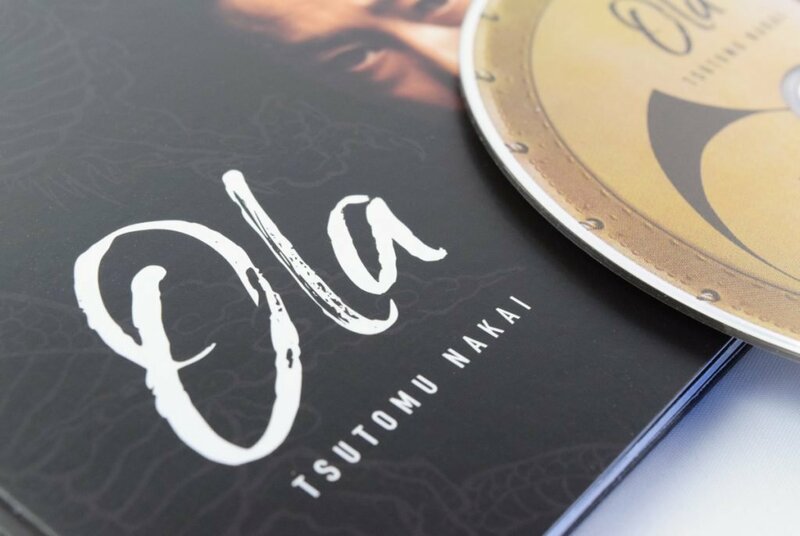 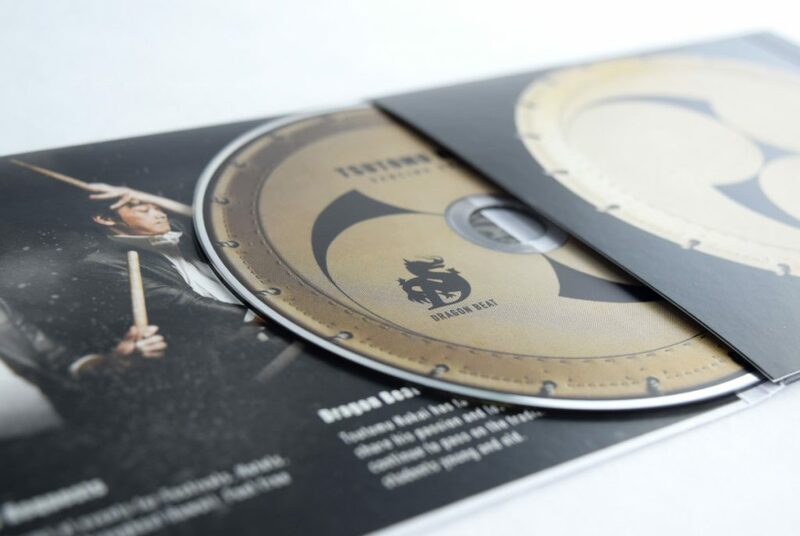 Client: Wa taiko THR Inc.
Japanese drumming artist Tsutomu Nakai, who has unique and original virtuosity in dancing while beating drums, needed jacket design for his CD that contains new songs. 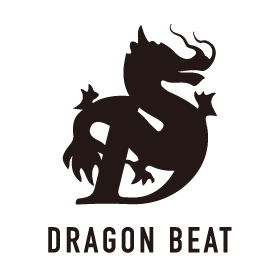 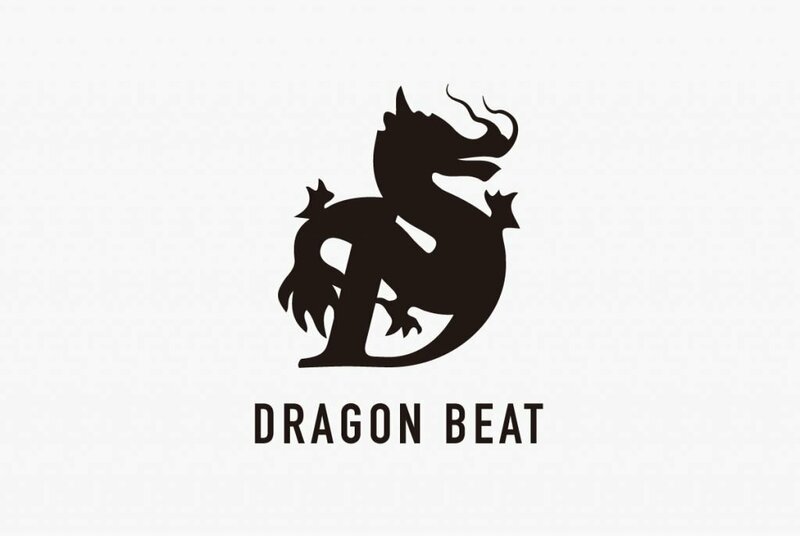 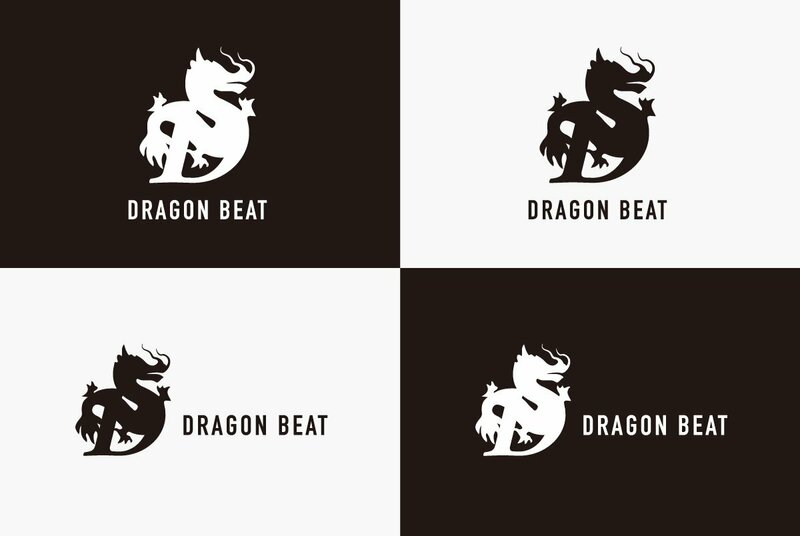 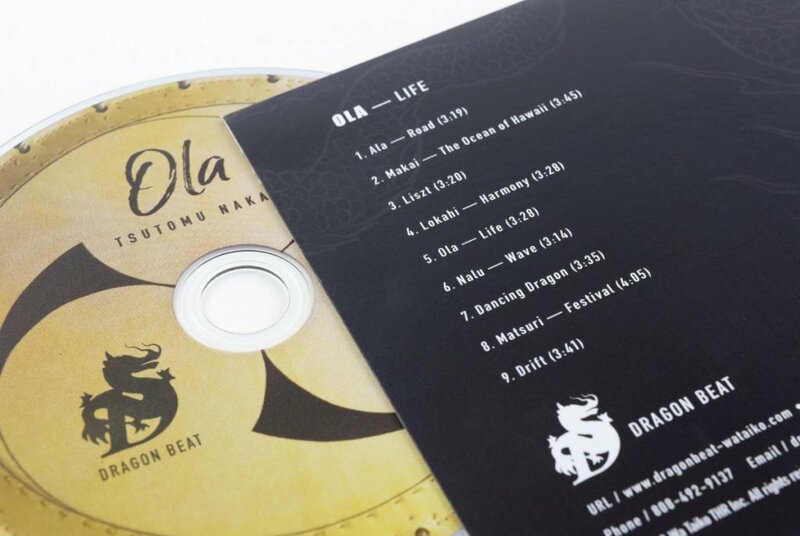 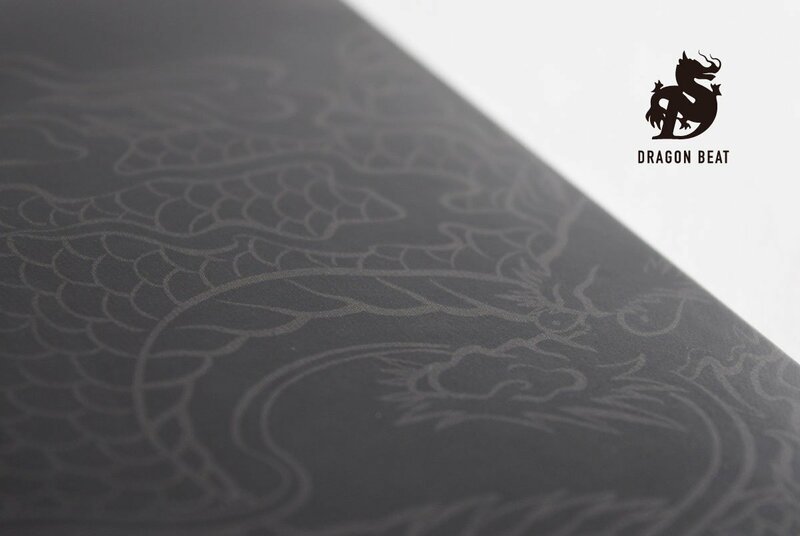 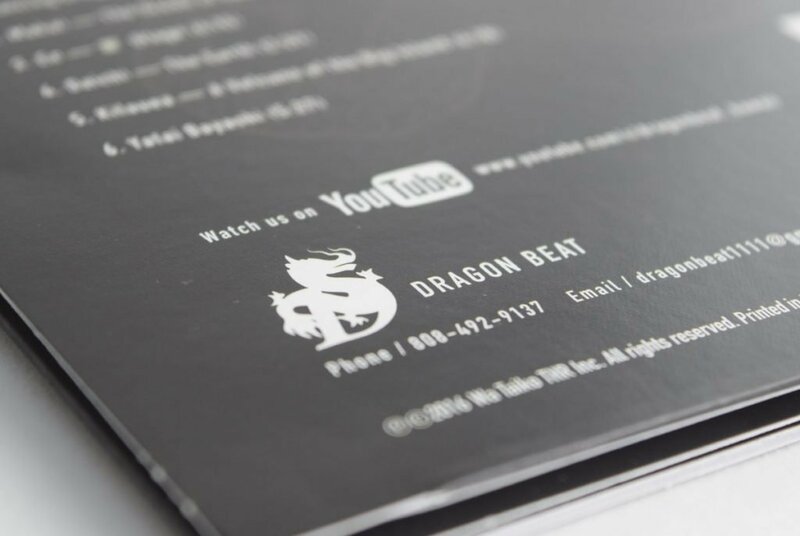 At the same time, it should strengthen the brand image for his Japanese drumming team and Japanese drumming class “Dragon Beat”, and available as a PR item for lecture activities. 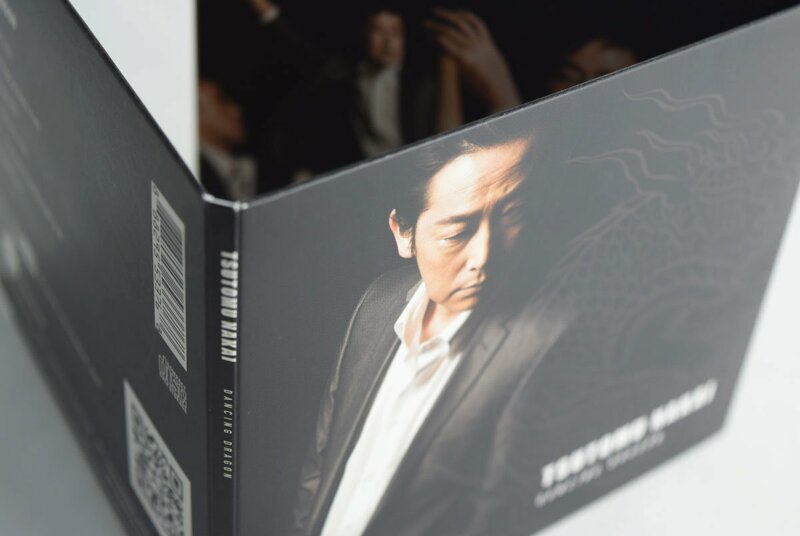 The album can easily be grasped due to its design theme of 'symmetry to tradition and modernity.' 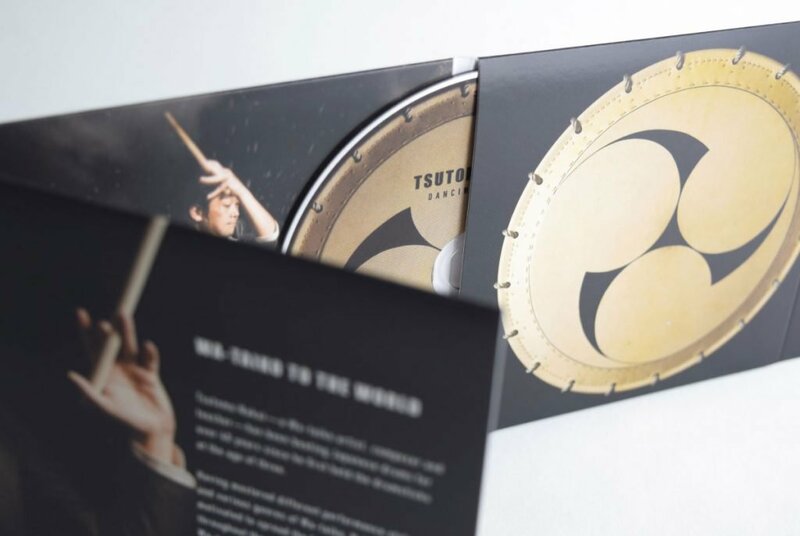 It also visually represents Tsutomu Nakai's identity and spreads the charm of Japanese drums to the world. 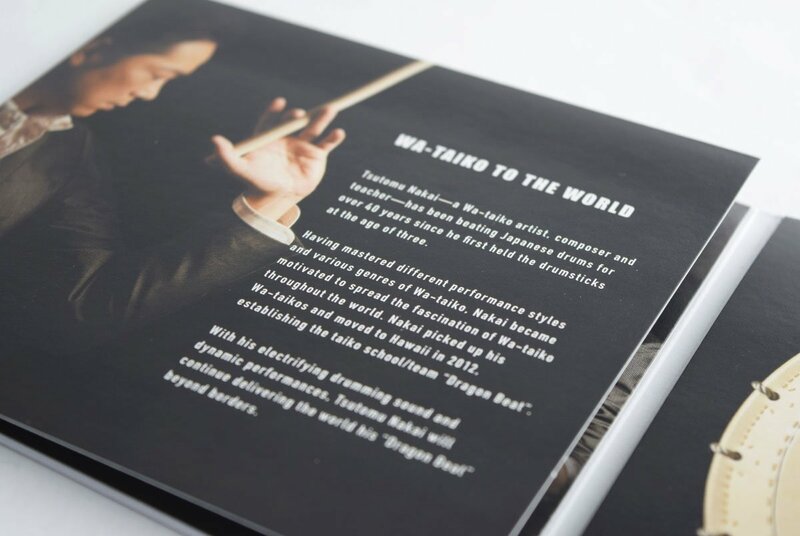 From the desire to spread the traditional Japanese culture ”Charm of Japanese Drums” to the world and in order to make it easy for people to understand, we decided to have the artist play in a suit like an orchestra player which created a unique entertainment style as a Japanese Drum player. 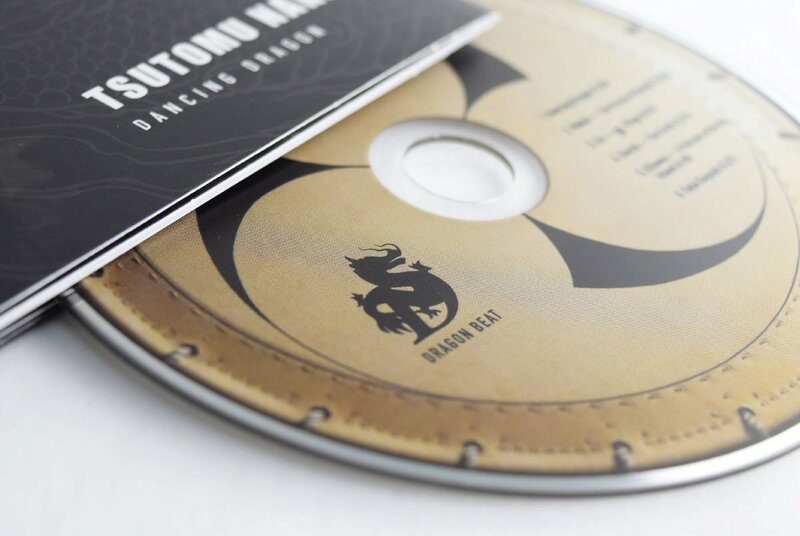 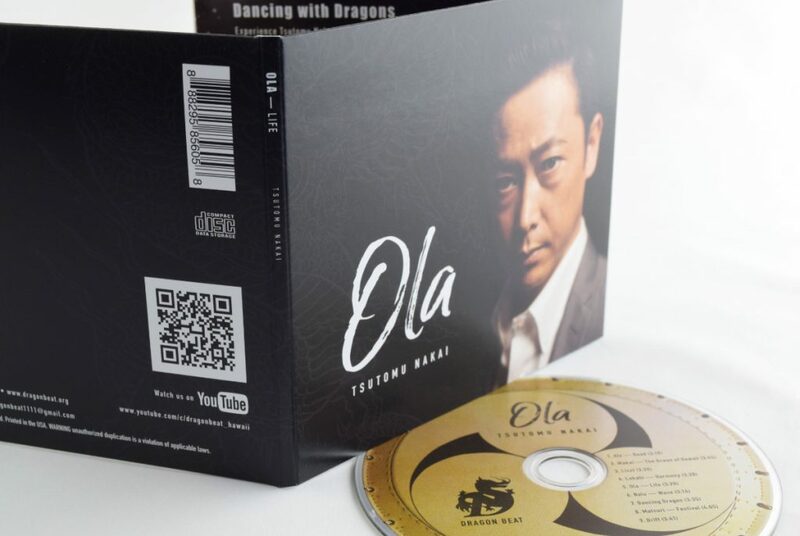 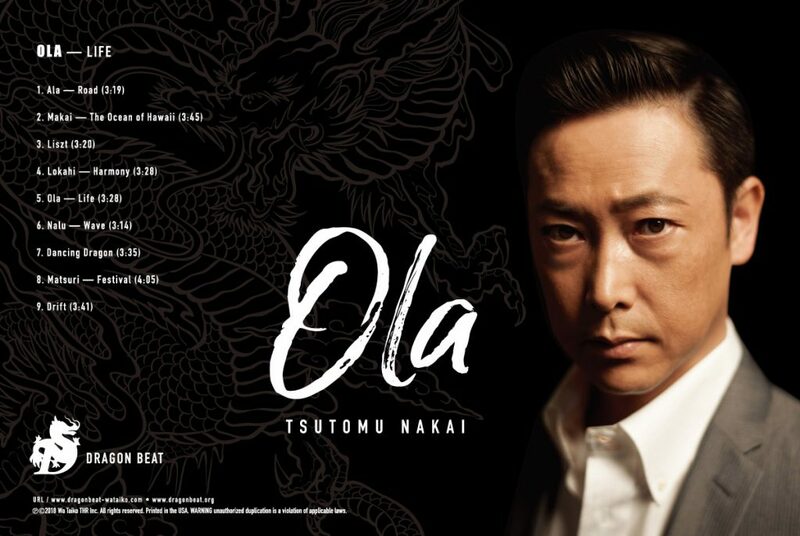 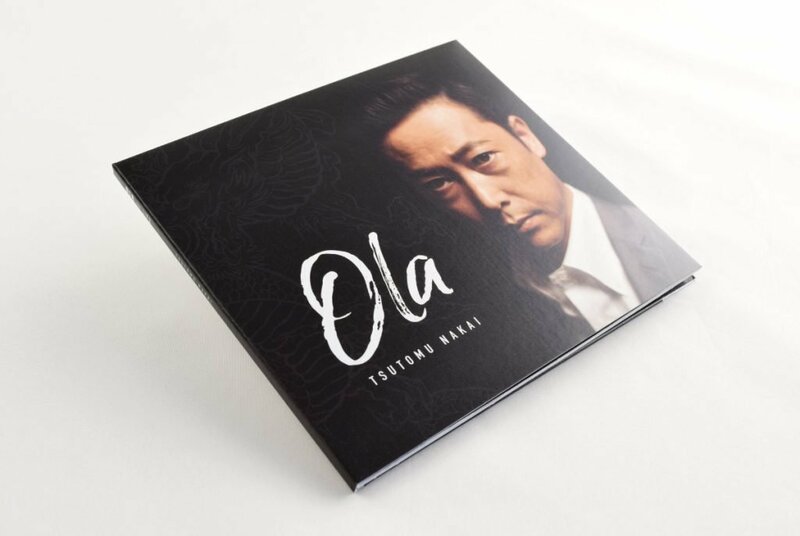 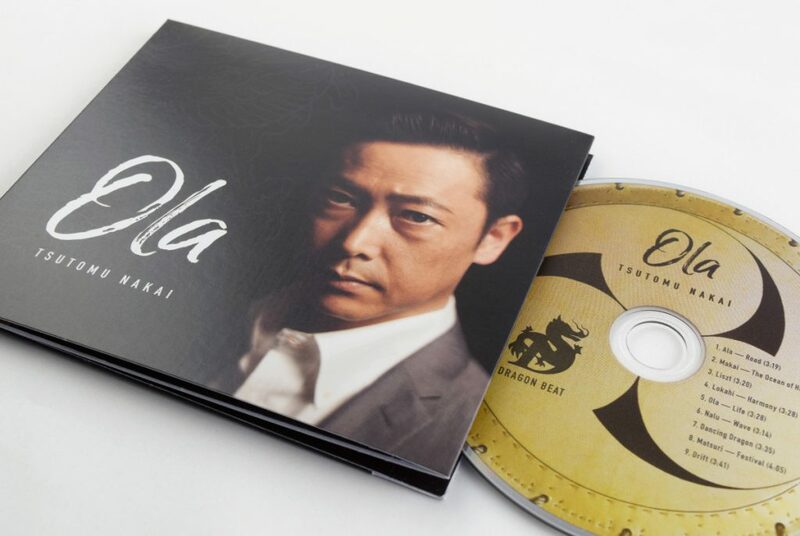 In accordance with this concept, we renewed their brand logo and appointed Mr. Nakai in a suit on the front of CD jacket. 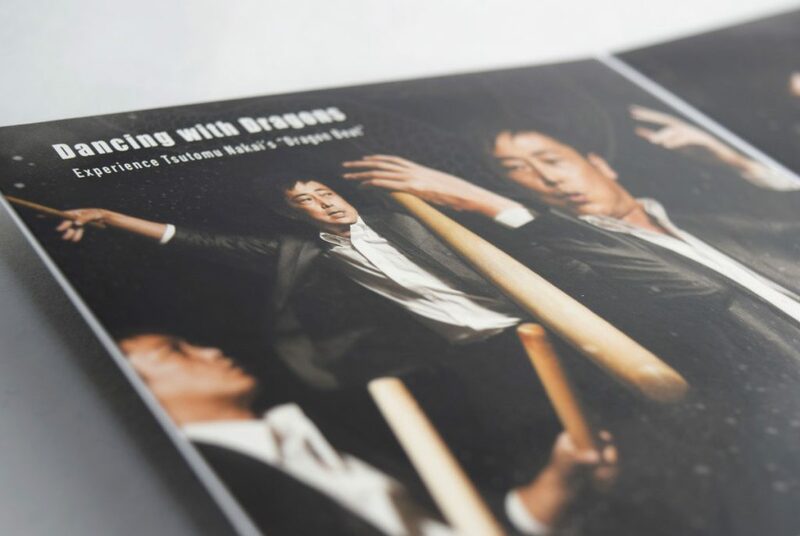 In order to express his characteristic playing style, we designed it with a composition that flows through the appearance of hitting drums while dancing with various drums inside of the CD jacket. 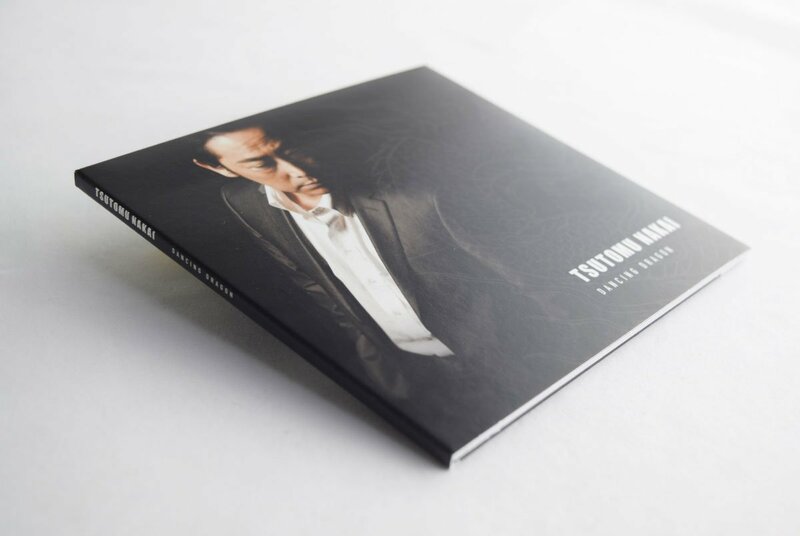 By designing with the theme of “Symmetry to tradition and modernity” and the passion conveyed in the photography art direction, the end project led to the success in enhancing both of the brand image and as a strong promotional tool.